First feature of Matt Wu pays homage to several European directors and movements, and shows some important talents – among them the talents to tame Aaron Kwok, and not to become a slave of inspirations and models. 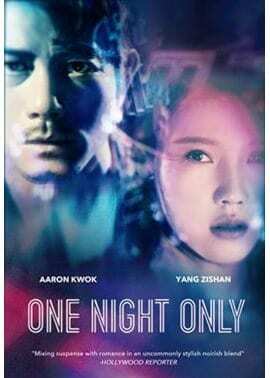 In “One Night Only”, he offers a world, where the story of two strangers in the night works smoother and better than its script suggests. That makes the film an overall entertaining experience, despite all its ups and downs. Gao Ye (Aaron Kwok) is a gambler, he is very very late with his rent, and in general, he is out of luck. Suddenly, a knock on his door changes not only the course of that night, but also his life. Momo (Yang Zishan) introduces herself as a prostitute hired by/for Ye and forces herself in. After a while, she lets Ye to all the money she has on her, and the ride through gambling saloons and (one) DoA fighting arena begins. Little do they know they’ve got one night only to spare. With some mobsters (Andy On, Jack Kao) at their heels, they don’t even have time to pretend to care. Old debts, new debts, car chase, angry hookers, kidnapping, blackmail, and so on and so on (That is also the explanation for the Thai car plates). And in the calm moments, secrets of the past come up. Dressed in a very stylish soft light/occasional soft focus with accent on warm colours, “One Night Only” is not only easy to watch, it also offers some well written – well played moments. With the overall devil-may-care attitude of the main characters and plot turns at every turn, thrill, humour, and romance, it basically never bores. If the storyline of two random almost lovers living slightly over the edge of the law (but not moral), vaguely reminds you of some of Jean-Luc Godard`s pieces, make it at least a second nod to the European reputable film-makers. That first one would be the open, and not the smoothest, bow to Federico Fellini. 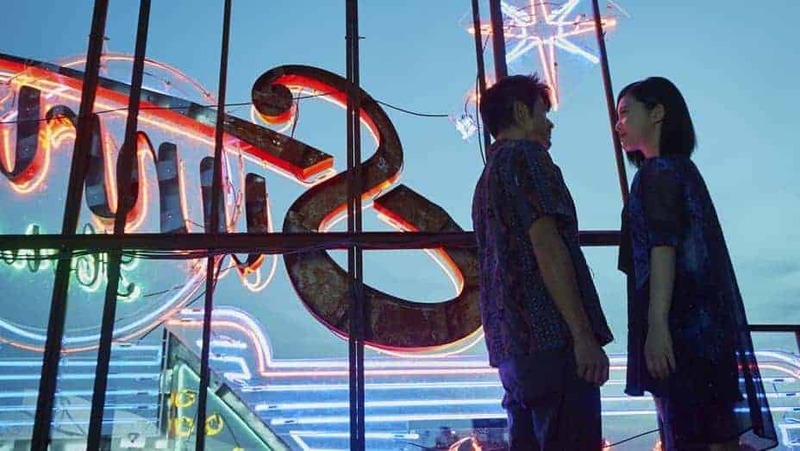 Perhaps one of those “obligatory” things for young filmmakers, still, the way Ryan Ren (a. k. a. Peng Ren; scriptwriter) and Wu work the inspirations into their story, adds to the film`s likable nostalgia for what might have been. Both, Yang and Kwok are good choices for the pivotal roles, basically following the golden rule of type casting and silver rule of keeping the male protagonist manly: Yang (1986) as gentle smart young woman that can be cheeky and you will thank her (“20 Once Again” director Leste Chen as one of the producer knew well. Wu, Yang’s husband probably knows better), Kwok (1965) as a man that, over the course of the film, loses his charlatan tricks to become that romantic man he really is, and it is interesting to watch him shutting down his acting platitudes for the sake of the character. Andy On and Jack Kao who do their best in rather vaguely written roles of the bad guys. Even with the romantic dialogues and backstories of Ye’s and Momo’s that would make any cheesy telenovela writer proud; as if that was not enough, one of these stories is narrated in one of the most irritating ways – voice over describing what you see, and those generic gangsters, Ren and Wu managed to create a fictional world where the story and its sappier moments too work and are plausible and believable. And that is fairly enough to say that, on its safe playground, “One Night Only” pleases more than you would like to admit.